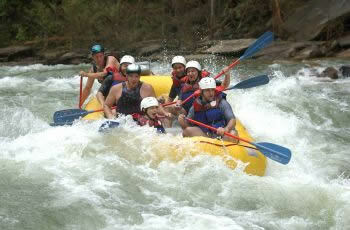 lways great fun is a day out at the Manso or Azul Rivers. Both rivers are located at about one hour drive from Bariloche. 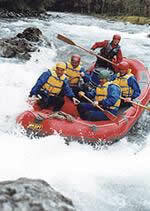 Total equipment is provided including thermic suits, life vests and helmets and we start the adventure. The trip takes approximately three hours on the river; after which nice asado lunch awaits us. Another more relaxed alternative is to rent a raft and take a floating trip on the river Limay, one of the most beautiful rivers of the region. Depending on the season we have fish or meat which will be prepared on a grill or in a home made clay oven. An unforgetable experience. If we have enough time after lunch we can go for a hike or ride on horseback looking for condors.